Sopot was first mentioned in 1283, as a small fishermen village granted by a Pomeranian duke Mestwin II to Oliwa Cistercians in the place of the lands taken by the Teutonic Knights. Sopot belonged to the monks for almost 500 years, until it was taken from them after the First Partition of Poland and given to the Prussian kingdom. Middle of the 16th century saw many summer residences built in Sopot by wealthy Gdańsk patricians and diplomats from foreign countries. Those were mainly located in today’s area of the junction of 1 Maja street, Bohaterów Monte Cassino street and Aleja Niepodległości street. There were also some attempts to set up a special place for bathing, but a true development in the area came later. In 1733-1734, Sopot was burned to the ground by the Russian army besieging Gdańsk. The Russians were searching for Stanisław Leszczyński, fighting against August III at that time. The mansions in Sopot were abandoned and nobody lived there till the middle of the 18th century. Then most of them were bought by the Przebendowski Family. They owned 11 out of 15 Sopot villas and sold them to Carl Christoph Wegner, a Gdańsk Merchant. Wegner was the builder of the first house with warm baths located by the beach, however such a building was not very popular with the tourists and the locals. The first true bathhouse was built in 1823 by Jean Georg Haffner, a surgeon major. This year is now mentioned as a symbolic date Sopot as a sanatorium was born. A year later the famous spa house was built and a nearby park laid out. 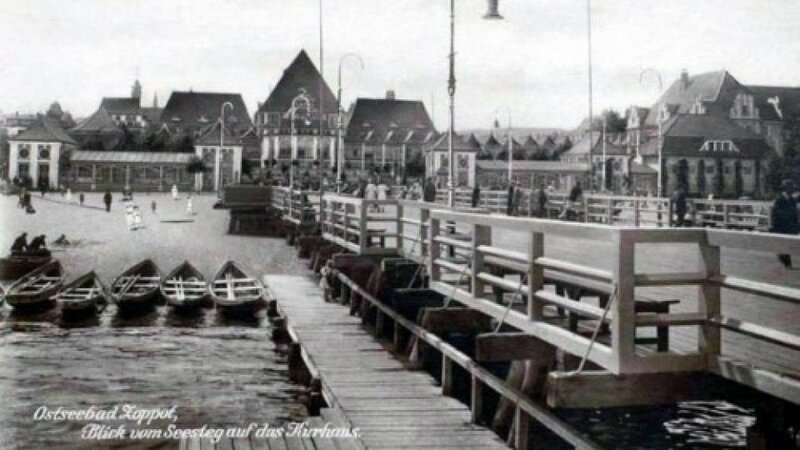 The first pier was only 63 meters long, but the first spa-goers would already visit Sopot. In the middle of 19th century, about 800-1200 people visited the town annually. The train-line from Gdańsk to Berlin brought even more tourists to Sopot – about 12 500 people would come to town each year! 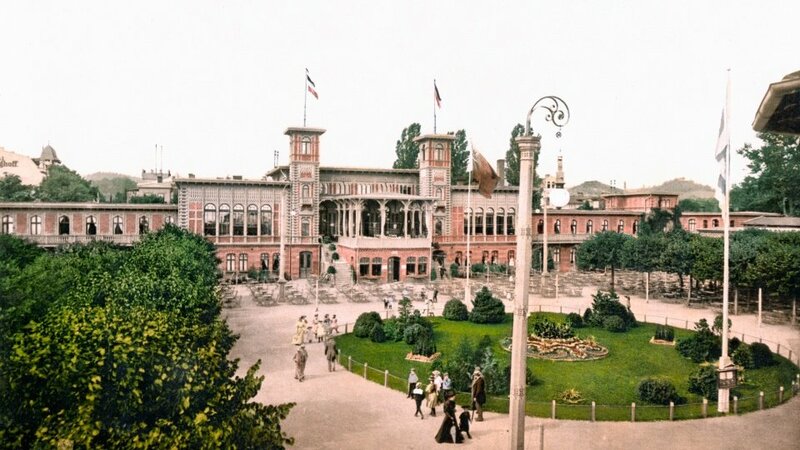 Bergschlösschen Brauerei Zoppot was opened in 1875 and Sopot was blooming: new spas and manors and villas were built, tourists came in large amounts. On 8th October, 1901 Sopot was granted city rights by Wilhelm II. In 1903 the Balneology house was built. It offered warm baths in heated sea water, massages and mud wraps. 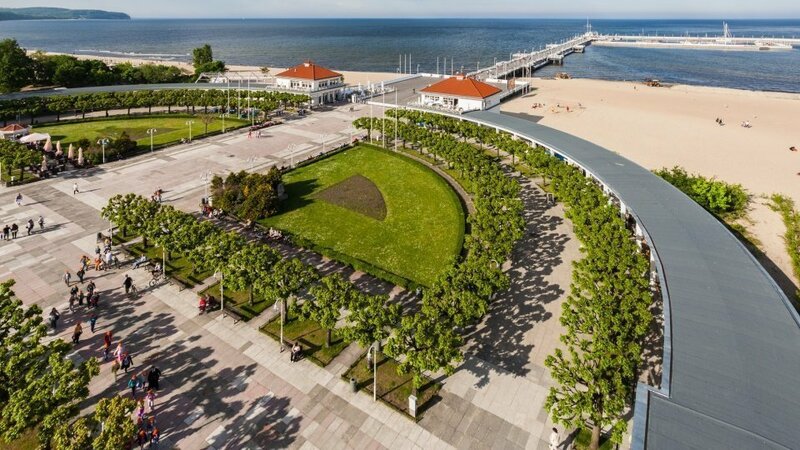 Sopot was becoming a fashionable spot in Europe, named The Northern Riviera. Soon it was filled with new villas, tennis courts and had a horse racecourse nearby. The Forest Opera opened in 1909. Before the First World War, Sopot was a well-known European spa with direct sea routes across the Baltic sea. Following the Treaty of Versailles in 1919, Sopot became a part of the Free City of Danzig. A casino was opened in 1920 and in 1927, the Grand Hotel followed suit. The wooden pier reached its current length of 511,5 meters. The pier itself didn’t change much since then – till 2011, when a marina for about 100 boats was built. It is still the longest wooden pier in Europe. During World War II Sopot remained under German rule. Though freed on 23rd March, 1945, it was terribly destroyed. The Red Army burned down approximately 10% of the buildings, including the entire downtown around Bohaterów Monte Cassino street. Still, the city has risen from the ashes: a year after the war a tramway to Gdańsk was opened, along with the School of Music, the School of Maritime Trade, a library and an art gallery. Sopot remained an important centre of culture, becoming famous in 1961 with the inauguration of the first Sopot International Song Festival. The famous Monte Cassino street (nicknamed “Monciak” by the locals) became an automobile-free zone in 1963. 14 years later the city reached a record number of inhabitants: 54 500. Currently, Sopot is known as a climatic spa (even though this title was officially granted in 1999). On 8th October 2001 Sopot celebrated its 100 years as a city.